My latest article published on Modern Mix Vancouver. Enjoy! In a city where many of us are always on the go with our busy and active lifestyles, it’s sometimes difficult to have to choose style and fashion over comfort and practicality. Fortunately, with Dish’s new line of women and men’s jeans, you can have both. 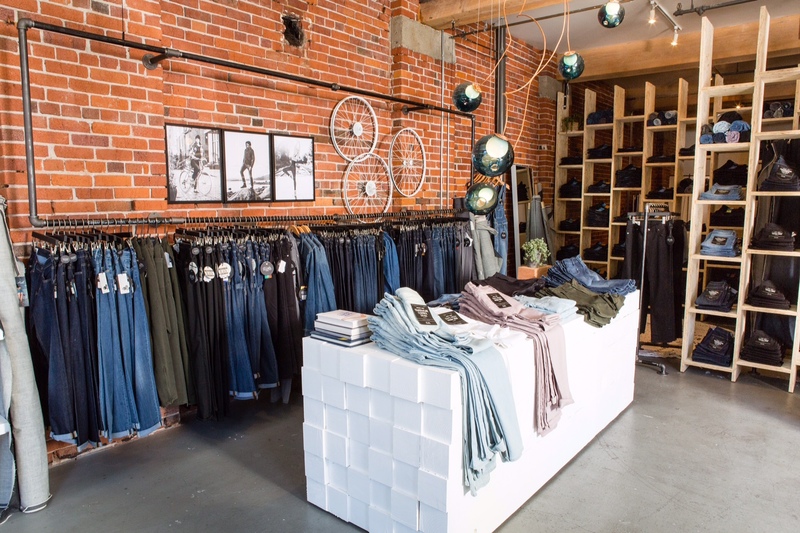 A couple of years ago, after taking Dish­ off the market, founder Gary Lenett who has over 25 years in the denim industry, recognized the need to fill the gap that existed between premium denim and your favourite comfy pair of sweats. Since then, Dish has rebranded and the company has invested in the research and development of two proprietary fabrics, L2X (leisure to extreme) and Nature2X (nature to extreme). Both types of technical fabric combine coolmax® and Tencel® to offer moisture management, temperature control and anti-bacterial properties, all characteristics appealing to those who seek comfort and practicality in their denim. 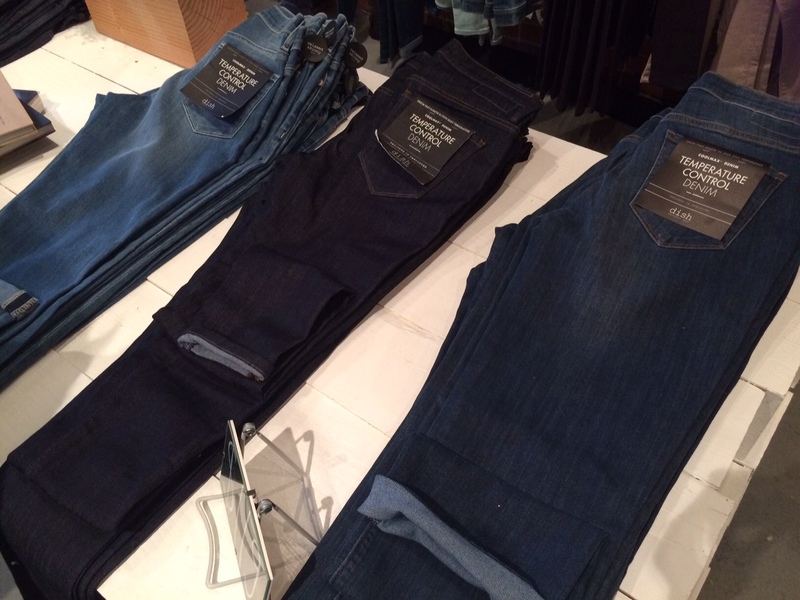 With high hopes, this evolved line of Dish jeans was introduced in Vancouver earlier this month. And the response has been overwhelmingly positive. 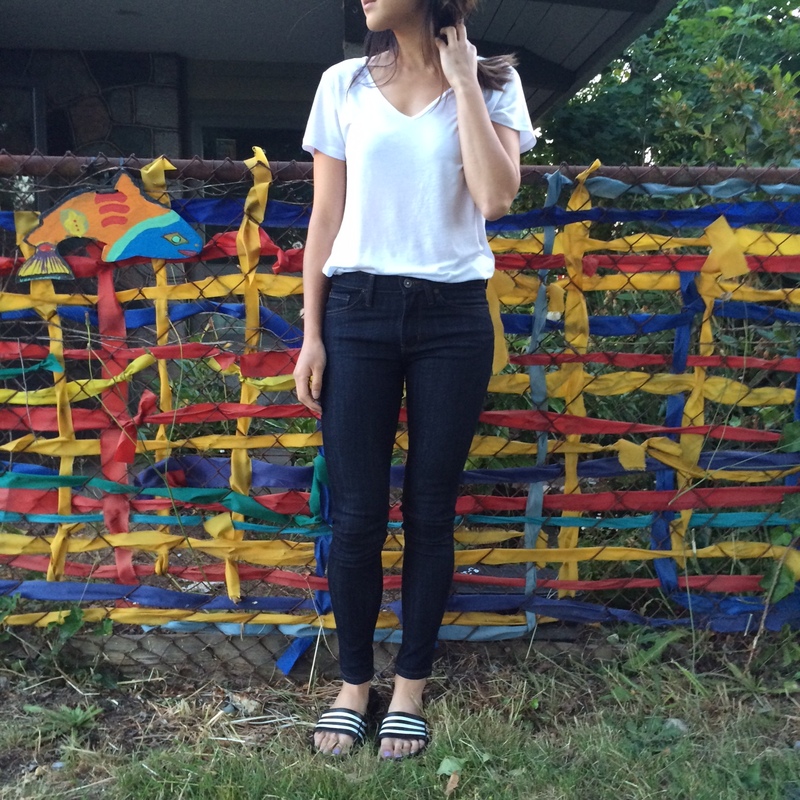 After trying a pair of Dish jeans, you’ll understand why they’re called “performance denim”. They’re made with fabric technology borrowed from the sports world and adapted for jeans, so it’s no wonder you can wear them while you’re out gardening, hiking up a mountain, doing yoga, or riding your bike in the city. The best part is, the L2X high stretch fabric in Dish jeans provides maximum range of motion and allows them to hold their shape after time so they won’t bag out. When I tried on a pair of Dish jeans for the first time, I could feel right away they were more lightweight and stretchier than regular denim I wear. I even managed to do a squat as easily as I would in a pair of tights – It’s not a joke when they say you can wear them while doing activities like yoga! 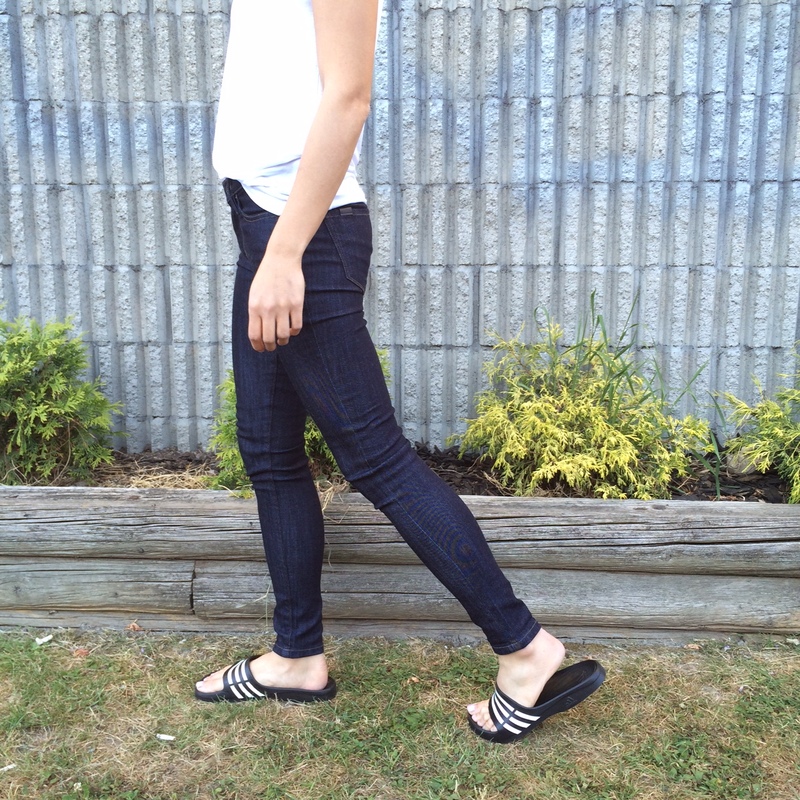 Aside from Dish jeans being super comfy, I loved the variety of washes and styles available and how well they fit. With the re-launch of Dish comes a men’s performance line, DU-ER, made with the same material as the ladies performance denim. 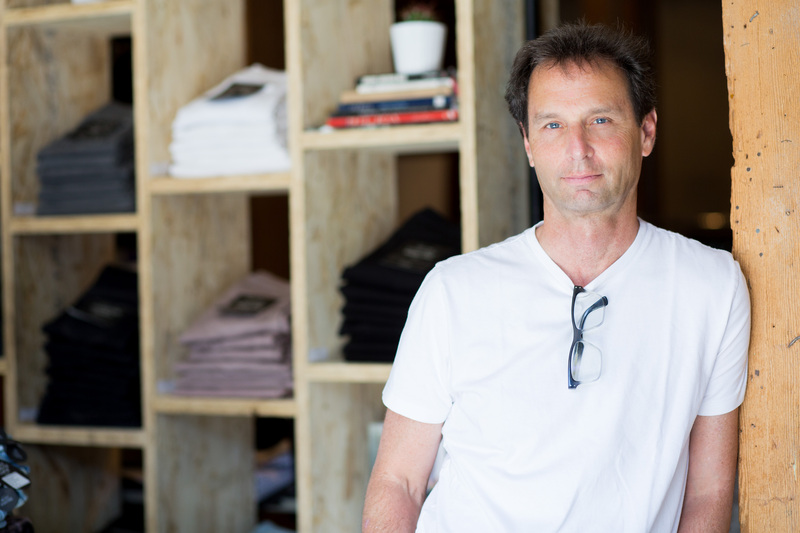 Gary also designed the men’s line of jeans to include lined pockets that protect against cellphone radiation and dark/reflective branding that can be spotted by night drivers as the denim is fit for bike commuting. Guys will appreciate that DU-ER jeans have five times the stretch of regular denim, allowing for an active lifestyle without having to sacrifice style. Both DISH and DU-ER were designed for a wide demographic of active individuals, in all body shapes and sizes. Gary says he plans to take Dish and DUER down the west coast to Seattle and Portland and then expand to SoHo in the future.